From his practice, Sunrise Dental of Everett, Dr. Gary Chin helps his patients from in and around Everett, Washington, to have bright, white, healthy-looking smiles. Patients have a choice of at-home or in-office teeth whitening treatments. "I'm continually impressed at the professionalism & personal touch of Dr. Chin's practice"
"Dr. Chin you are truly the best. Thank you for all you do." "Dr. Chin and staff are without a doubt the best dental practice you'll find." Why Do People Have Their Teeth Whitened? How Are Your Take Home Kits Different From What I Can Buy in a Drugstore? The at-home bleaching kits provided by the dentists at Sunrise Dental of Everett are custom-made for each patient. The trays are form-fitted to each person's mouth and tooth shape to ensure the whitening agent reaches all the surfaces of the teeth for results that are more consistent and more effective. The at-home bleaching kits are designed for use under professional supervision, with special whitening agents that are more effective than those available in over-the-counter whitening kits. And finally, before your whitening treatment, Dr. Chin or one of his associates will examine your teeth for any signs of damage that would need to be corrected prior to whitening to ensure the best possible results. What Happens During the In-Office Teeth Whitening Procedure? Before booking the appointment for your teeth whitening, Dr. Chin will thoroughly clean and prepare the teeth and perform an examination. Any traces of decay or damage will be treated before the whitening begins. Once the patient’s teeth are ready, Dr. Chin applies an innovative chemically activated gel made from hydrogen peroxide to the teeth. The patient’s lips will be held back with a soft retainer to ensure that each tooth is evenly covered with the gel. After about 40 minutes, the gel is wiped away and the lip retainer is taken out. Patients will notice a brighter and whiter smile immediately. 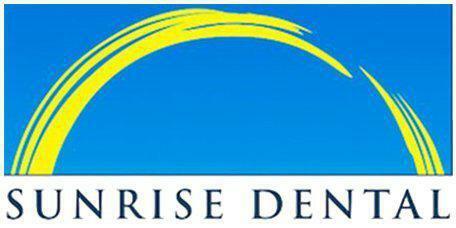 At Sunrise Dental of Everett, we are dedicated to our patients' dental health. We accept most PPO insurances to make sure that all of our patients are covered. If your insurance is not listed or if you have any questions, please call our office to see how we can partner with you. "I would highly recommend Dr. Chin to anyone looking for a dentist they can trust. He does it right or makes it right!" "Dr. Chin is always very personable and kind. Everyone who works there makes you feel like a guest and treats you well." "Dr. Chin is a wonderful person, and can make the patient with the most dental anxiety feel comfortable."